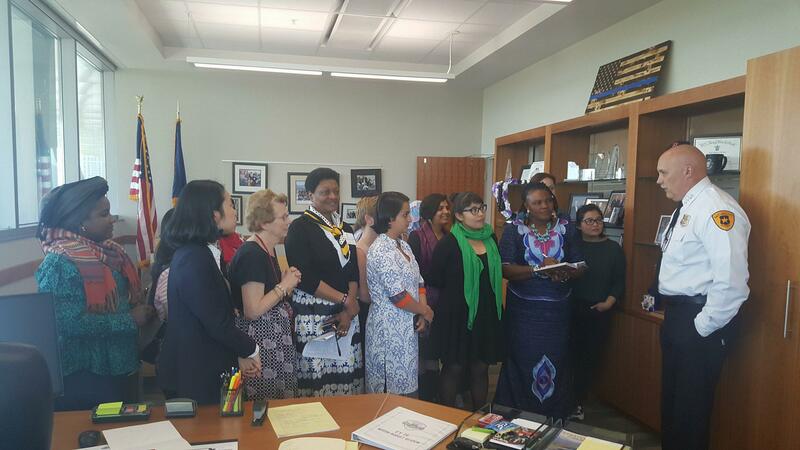 Ms. Doris Fatima Webber visited Utah in April 2018 as part of the Women in Politics and Civil Society program which aims to encourage women to engage in government leadership and examine methods and strategies that help women increase access to education, health care, and economic opportunities. 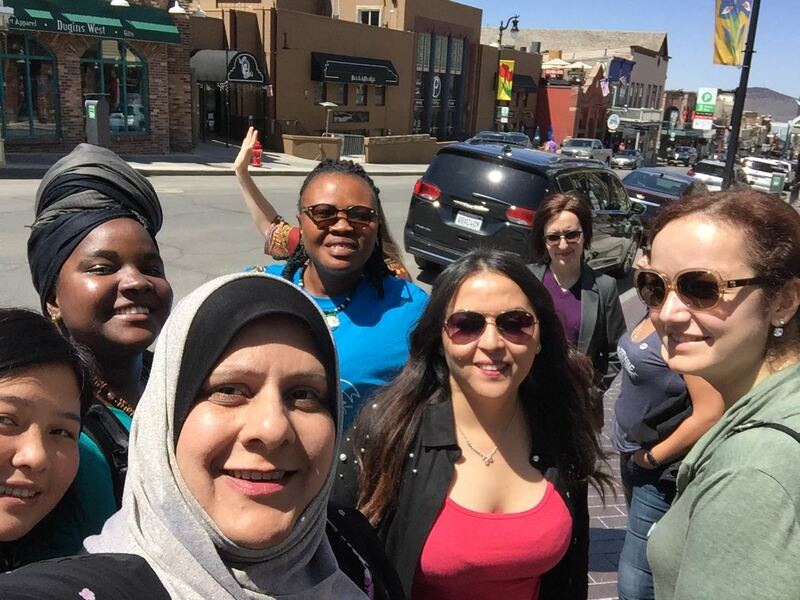 Ms. Webber with other IVLP women participants from her group. Ms. Webber is the Founder and Director of the Women’s Advocacy and Agricultural Development Organization which aims to engage vulnerable women in the economic and social sector through skills training. Ms. Webber is also involved in multiple civil society programs in her community. She is currently serving as chair of the Western Area Rural District’s Civil Society Program and is a member of the Local Policing Partnership Board (LPPB) which serves as a liaison between the police and the community. Ms. Webber shared, "This is my very first trip to the USA and I participated in such a wonderful program. I really appreciate UCCD's work. 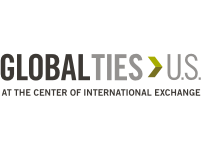 Your meetings in Utah are a capacity building for me and will serve as a stepping stone. I promised to cascade lessons learned and my experiences and knowledge gained back home. I am a rural woman and did not go to University, just high school. But I have been doing capacity building training of sorts in my country and attending such program is like having my master degree in the work I do in my community." 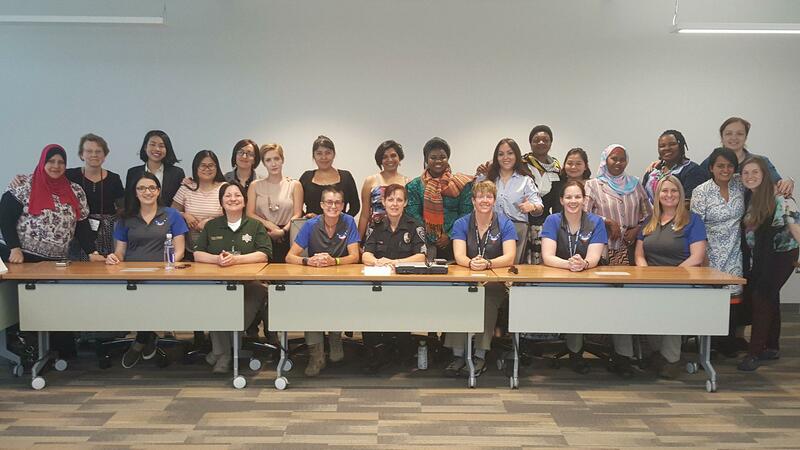 As a member of the LPPB, she particularly enjoyed meeting with Utah Women in Law Enforcement—an organization created to help women pursue successful careers as police officers—and hearing about their commitment and the challenges and successes they face. Ms. Webber also enjoyed meeting with the Chief of Police for Salt Lake City Mike Brown. Meeting with representatives from Utah Women in Law Enforcement (left) and Chief of Police for Salt Lake City Mike Brown (right). 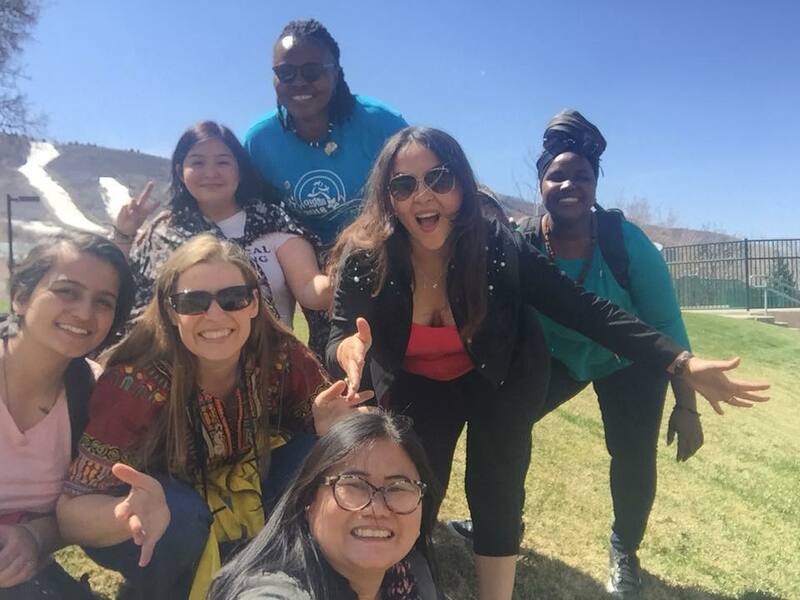 Stating that she enjoyed Utah and its snowy mountains, Ms. Webber looks forward to sharing her experiences and lessons learned in the state with her acquaintances back in Sierra Leone.